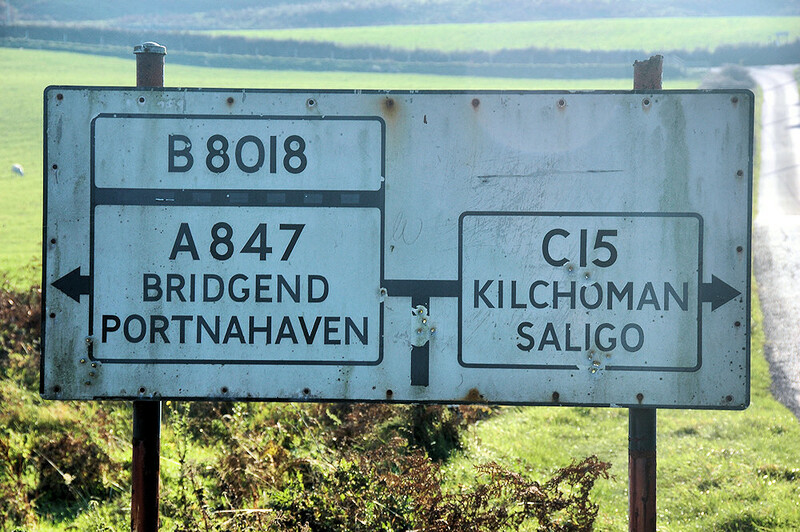 At first glance you might wonder why I took a picture of a road sign on Islay. But if you look closely you will notice a type of road you don’t normally find on a road sign, a C-road. The C15 runs from Rockmountain to Kilchoman. This entry was posted in Landscape, Repost, Sunny Weather and tagged Islay, Kilchoman, Rockmountain by Armin Grewe. Bookmark the permalink.